The ocean is home to thousands of different species, some of which are more fearsome than others. Few people are afraid of the microscopic plankton that inhabit the vast body of water, but more might be wary of some of the animals that eat them. Creatures like jellyfish can cause harm just from a single touch, while many sharks have razor sharp teeth capable of doing some serious damage if you get too close. Fears of these animals can prompt people to stay away from the water for good, but the likelihood of encountering one of them merely depends on where you are. It’s usually the nicer coastal locations that pose a higher risk of dangerous sea life encounters because why wouldn’t it be? 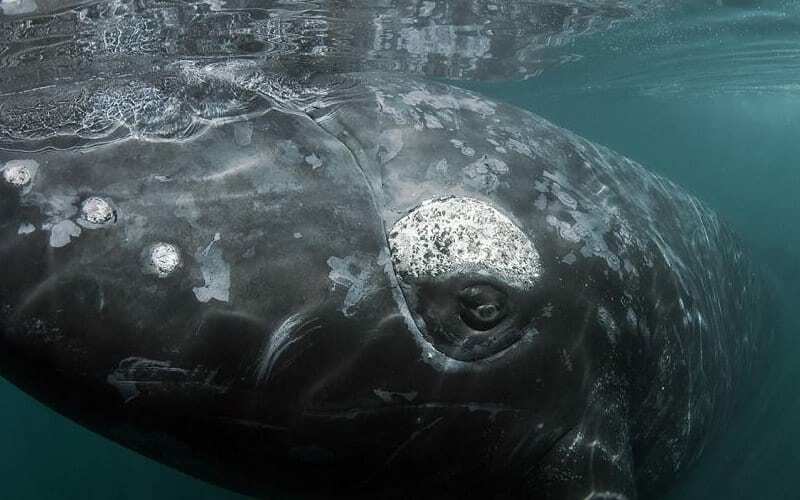 One animal people might be particularly afraid to cross paths with is whales. Although they don’t have as bad of a reputation as sharks, their size is enough to crush a person. Even if they didn’t mean any harm, they could still end up hurting you pretty badly. It’s no wonder, then, that these fishermen were cautious when one approached their boat and wouldn’t go away. The animal kept following them and trying to catch their attention, to the point that the men were worried about what it was going to do. This is one whale that wasn’t looking to cause any harm, though. All it wanted was a helping hand from the fishermen, and once it was offered, the whale was eternally grateful. It even thanked them for their efforts. Ivan Iskenderian and Michael Riggio were two men just looking to test their luck on the waters of Middle Harbor. 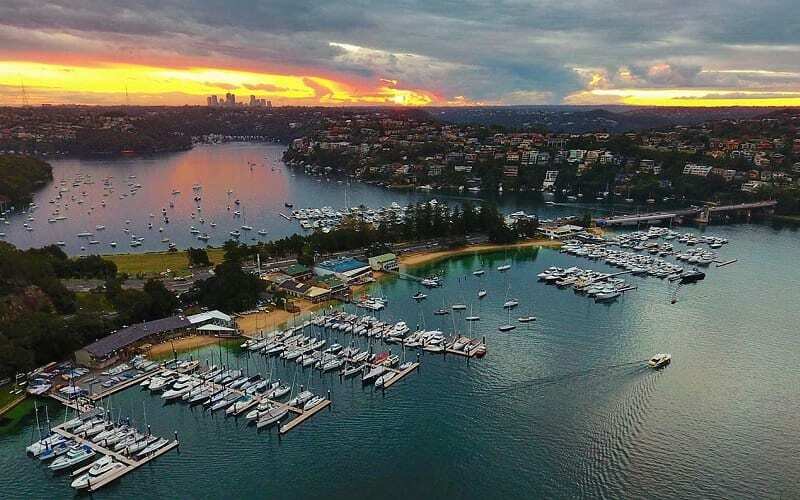 The Australians had no specific expectations for their trip, but as avid fishermen, they knew the possibilities that awaited them under the surface. After spending several hours trying their luck, they decided to call it a day and turned back towards land. However, it was as they were traveling to the shore that they noticed something unusual. They couldn’t shake the feeling that something was watching them, and that it was following them all the way back to the coast. Were they crazy, or were they actually being tailed by something in the water? The further they traveled, the more uneasy the men felt. 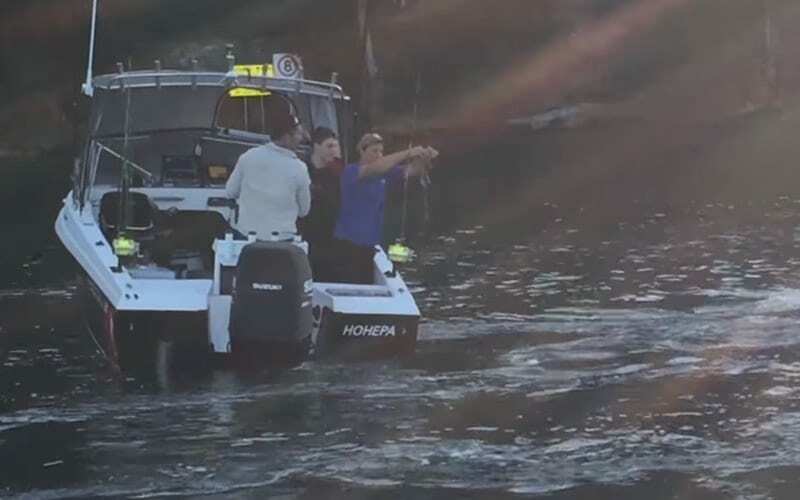 They couldn’t shake the feeling that something in the water was on their tail, which meant potential danger for the boat. What if it was a shark, or something worse? They kept an eye on the water as they headed to shore, and eventually discovered that they were right to feel anxious. 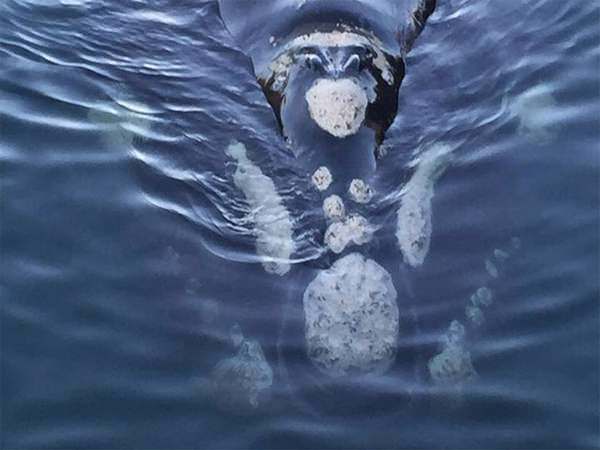 Something peered up through the surface before disappearing back into the water again. After doing that a few times, the fishermen realized exactly what they were dealing with – a whale. If it decided to attack the boat, the men were pretty much all done for. What would it do though? 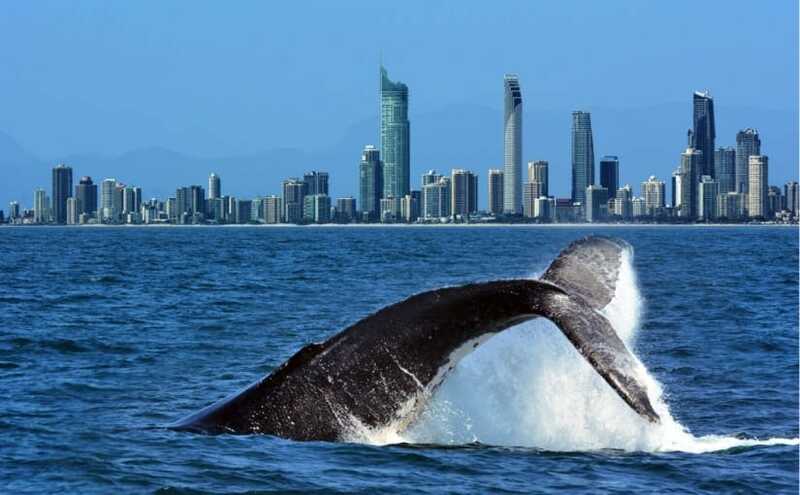 Encountering a whale in this part of Australian wasn’t out of the blue. There had been several sightings of the mammals before this, but they’d never been as brave as this specimen. 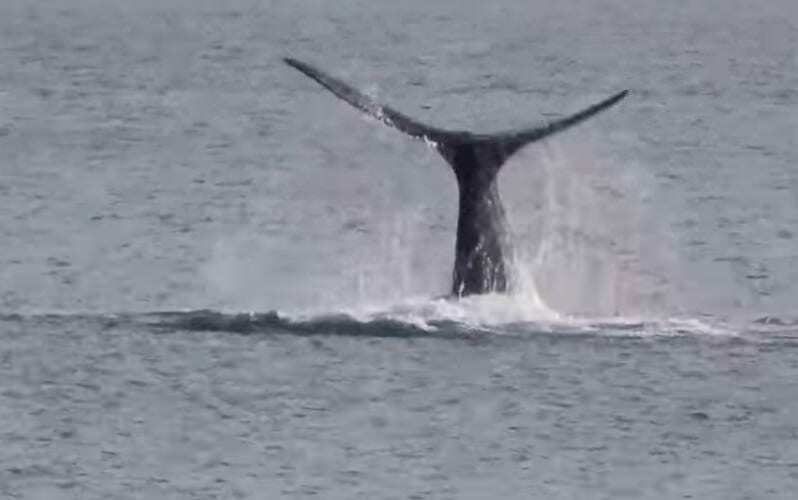 It was unusual for a whale to get so close to a boat, which could potentially be bad news for the fishermen on board. If it was in a bad mood, it wouldn’t have any trouble taking them down. However, there was something curious about this whale that meant it was unlikely to attack. The closer the whale got, the easier the fishermen were able to identify specific features of it. They could see it’s eye every time it peered above the water’s surface, and it was looking straight at them. 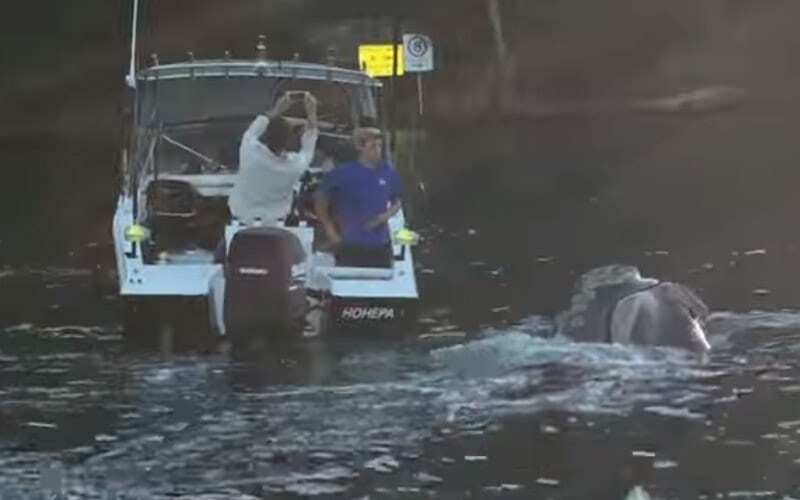 It wasn’t purely by coincidence that this whale was trailing the boat – it knew exactly what it was doing. As it continued to follow them, the men could hear it’s breathing grow louder, to the point that it was almost deafening. That wasn’t what caught their attention, though. Soon enough, the whale caught up to the boat and started swimming alongside it. If this whale meant any harm, then it was taking it’s time to do anything. Maybe it was just toying with the fishermen and trying to scare them first. However, that was unlikely, and for a good reason. 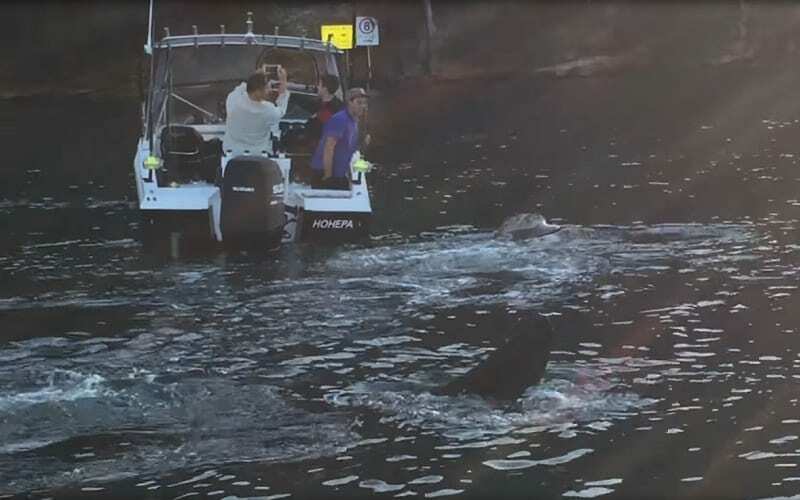 As the whale got real close to the boat, the men saw that it wasn’t looking to cause trouble – it wanted help. Was there anything these two could do for such a daunting animal? Finding a bit of bravery, Iskenderian moved to the side of the boat to see what it was the whale wanted. Maybe if he could identify the problem, he’d be able to help the animal out and keep it peaceful. 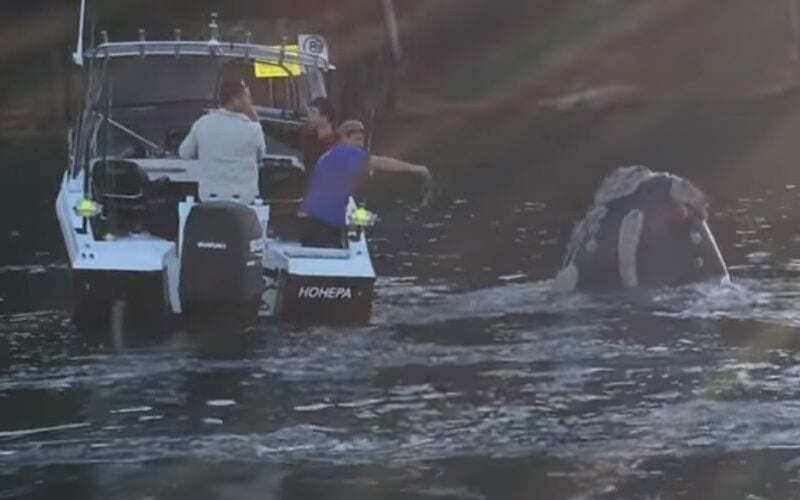 There was a chance that his interference would simply cause the whale distress and lead it to lash out, but he couldn’t sit there and do nothing. The more he ignored it, the likelier it was that the animal would become agitated and attack anyway. Acting as calmly as possible, the fisherman reached out to the animal as it peeked out of the water once again. The creature didn’t react to him, which was a good sign that it would stay calm as he tried to help. However, there were no assurances of anything. It was still capable of lashing out at any moment, so Iskenderian didn’t get ahead of himself. With steady breaths, he kept on reaching out, and at last, he discovered why the whale had taken an interest in their boat. The whale had been the victim of human interference. Stuck to its mouth were a fishing line and a plastic bag, and it had no way of removing them. The items were causing the poor creature a great deal of pain and discomfort, and it just wanted someone to help it out. Unfortunately, the only way for it to do that was to have another human pull them off. It wasn’t just the fishermen who were risking their lives by approaching the whale, but vice versa. Luckily, this whale had made the right call in who it approached. Iskenderian and Riggio couldn’t just stand by when an animal was in pain, and they were more than willing to offer the whale their services. Although the act of removing the offending items was relatively simple, both sides were nervous about what could happen. 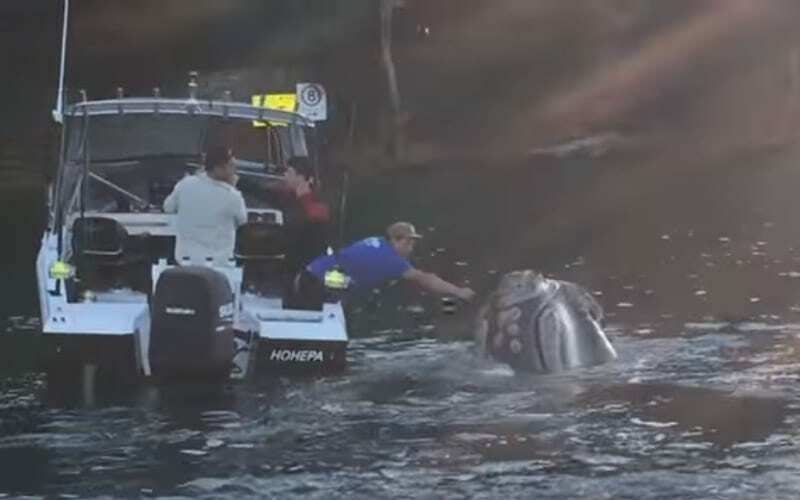 The fishermen had no idea how the whale would react, and it could still lash out at any moment. All this animal wanted, though, was to be free of pain once again. Trying to keep his nerves at bay, Iskenderian pulled the bag and fishing line off the whale and disposed of them. As he did this, the animal remained calm, understanding that the fisherman was there trying to help. Once the offending items were gone, it couldn’t hold back its delight. It was so relieved to be free again, and eternally grateful to Iskenderian for putting aside his fears to help them out. So, the whale decided to show its appreciation and thank him for his assistance. As soon as it was free, the whale started slapping its fin on the water. Being such a big creature, this might have looked a bit more terrifying than it actually was. The men had nothing to worry about though. These whales tend to do this as a sign that they’re feeling calm and happy, so it kept splashing at the water with glee. Although Iskenderian and Riggio had been nervous about the whale approaching them, they were glad to have offered it their help. As it turns out, the fishermen never had anything to worry about with the whale. 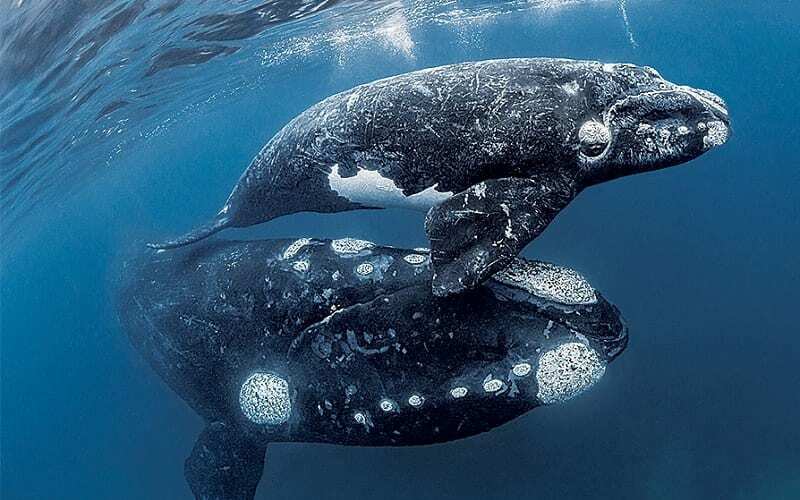 That’s because this species – the southern right whale – isn’t generally known for being aggressive. It’s one of the friendlier animals out in the water and actually tends to be quite curious when it comes to people. These whales usually hang around the surface, so the fact that it kept peering out of the water wasn’t anything out of the ordinary. The men could have also easily identified the mammal from some of its distinct features. 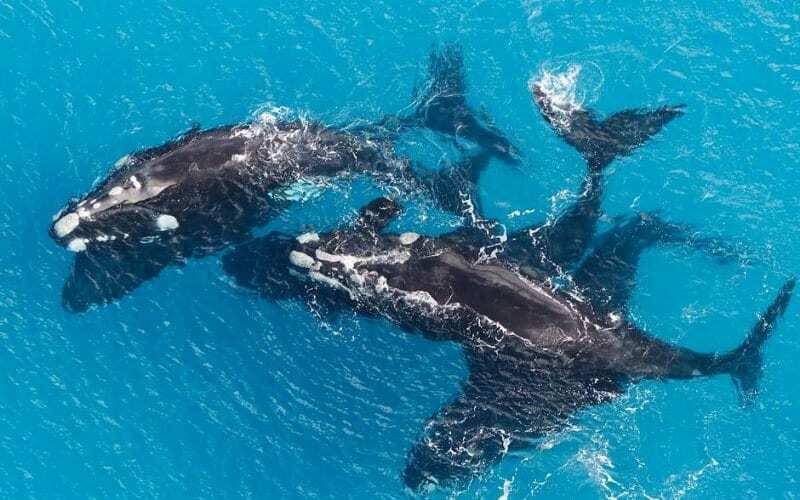 Southern rights have white patches on their body that make them distinct from other whales in the area. These lighter, harder patches of skin are created by the shrimp that hang on their body, so you should always know when one is coming. This means that if you’re ever in a boat and you catch a glimpse of a whale, you can relax a little more if you notice these light patches. Chances are, the animal is there to say hello, and doesn’t mean you any harm. 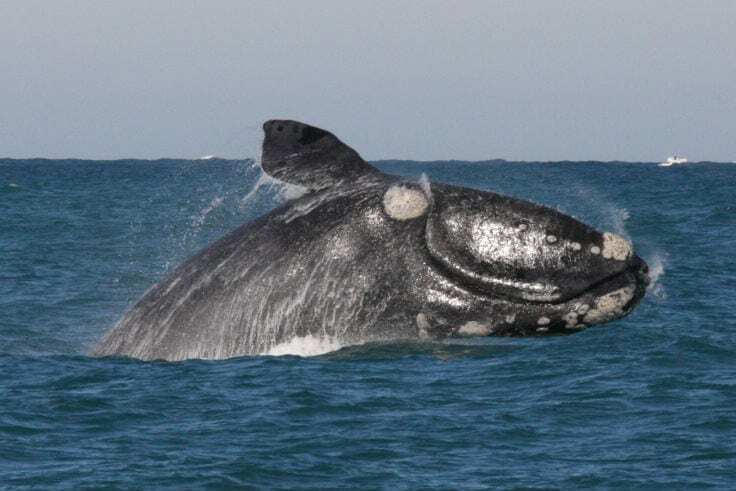 Of course, if a southern right whale approaches you, then it might be doing so for the same reason this one came up to Iskenderian and Riggio. You’re probably aware that this isn’t the first time that a creature living in the ocean has been affected by the inadequate disposal of waste. 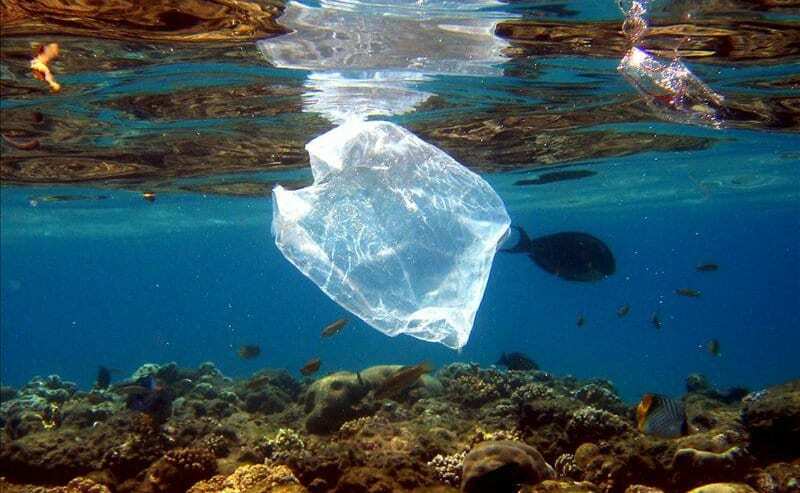 Fish and other marine animals getting caught in plastic is something that’s talked about a lot, but still, enough isn’t being done to keep them safe. That’s not the only threat that whales face out in the water either. Whaling is still a problem that some countries have yet to give up. Many years ago, before proper restrictions were put in place, plenty of species were heading towards extinction. Bans were placed on the hunting of right whales in 1937 because so few of them remained in the world. Nowadays, the species has been able to breed, and they’re no longer a cause for concern. However, despite there being bans on the hunting of these whales, people continue to do so illegally. 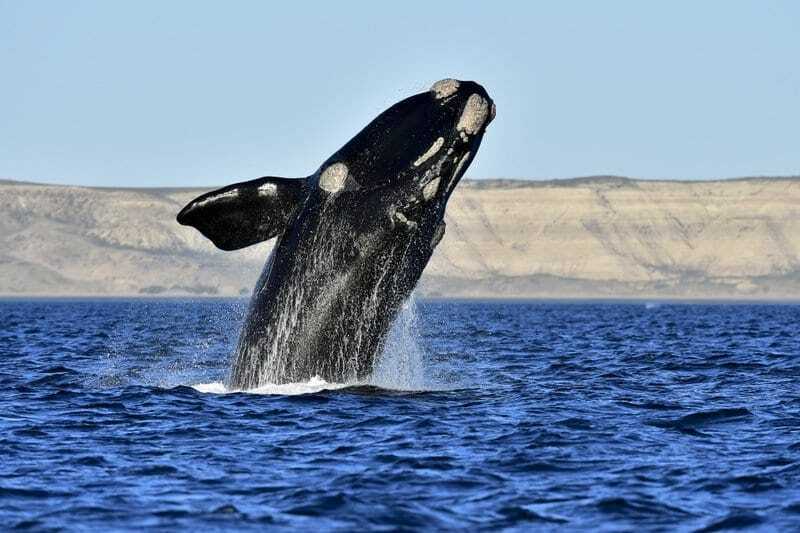 Although the southern right whale’s friendliness is one of its best traits, it can also be its downfall. As these creatures aren’t too afraid of getting near humans, they face the risk of approaching people who mean them harm. The whale who looked for help from Iskenderian and Riggio was lucky that they went up to the kind fishermen and not someone with much more sinister motives. This story could have easily taken a much darker turn, but thankfully it didn’t. While this species of whale is known for its friendliness, it’s doesn’t actually tend to get quite so close to people as this one did. However, the whale that Iskenderian and Riggio helped out was clearly in need of assistance, and it was, therefore, willing to make an exception. 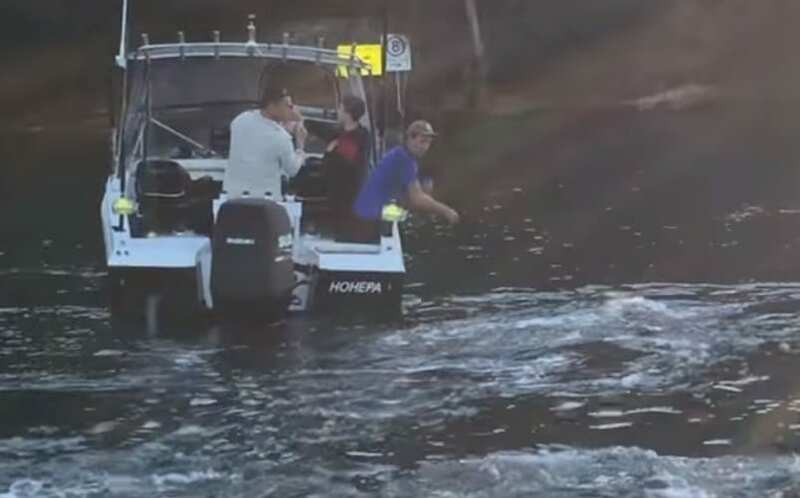 It’s hard to say for sure if the animal definitely approached the boat because it wanted the men to offer it a hand, but we wouldn’t be surprised. Whales are smart, and they should never be underestimated by anyone. 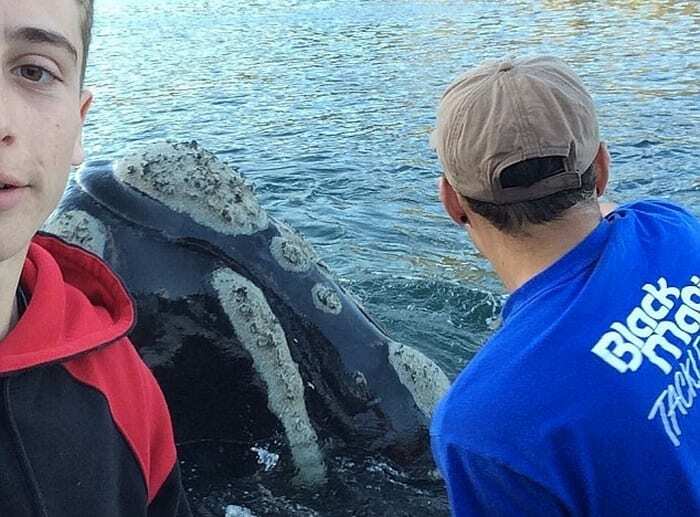 Following their encounter with the southern right whale, the two fishermen now know that anything is possible when they go out on the water. 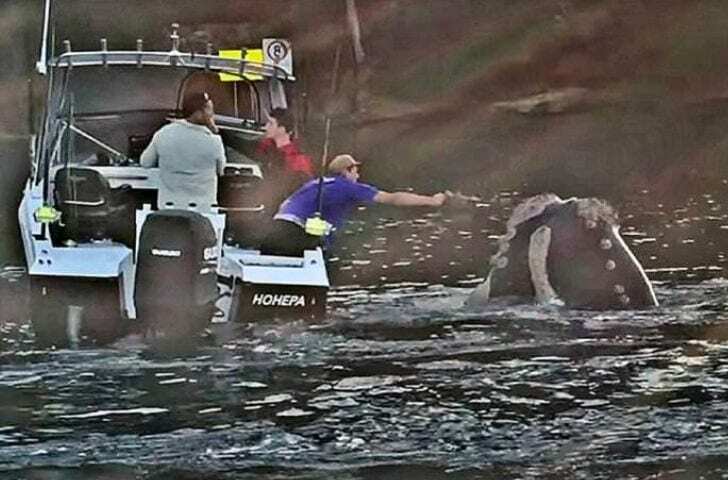 Neither of them expected to cross paths with a whale during their simple fishing trip, but they found themselves getting the surprise of their lives. Although things could have gone a very different way, especially if the whale hadn’t been so friendly, it worked out well for everyone involved. Plus, that’s one more sea creature saved from the dangers of littering the water. The men were so caught off guard by the experience that they knew they had to make the most of it while they could. 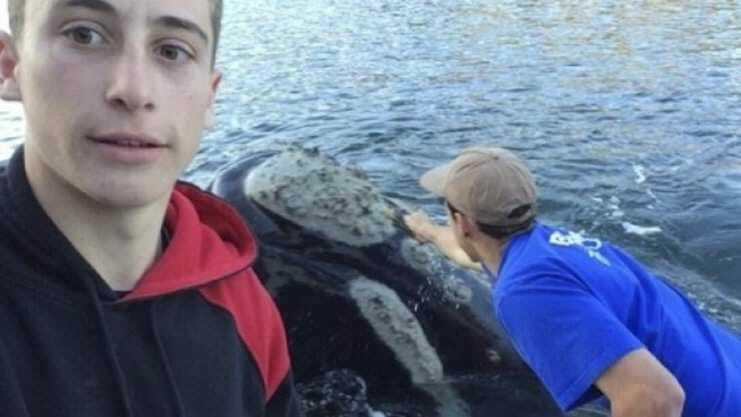 Once the whale was safe and happy, they wasted no time snapping a few selfies with the creature to show off online. After all, how often do you get to see an animal like this up close? They took plenty of cheeky snaps before the whale disappeared back under the water and left them to return to the shore. Whether Iskenderian and Riggio will ever encounter a whale like this again is unknown. We’re sure they wouldn’t mind not doing so if it means that they don’t need to provide their assistance again. While it was great for them to see the animal up close, it likely only happened because the creature was in pain and discomfort. No-one should want to see such a majestic creature scared and upset because of something that humans have done. These whales deserve much better than that.